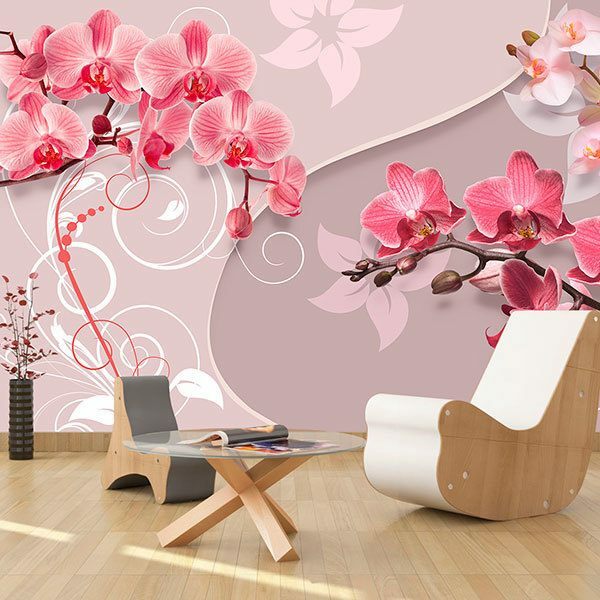 Wall mural Yin and Yang Orchids. 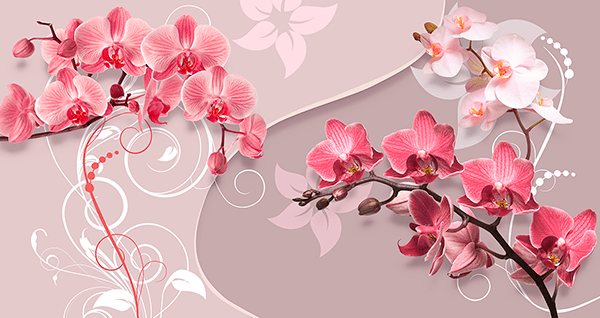 Composition of several branches of orchids of different colors, ornaments and digital flowers, on a soft background. 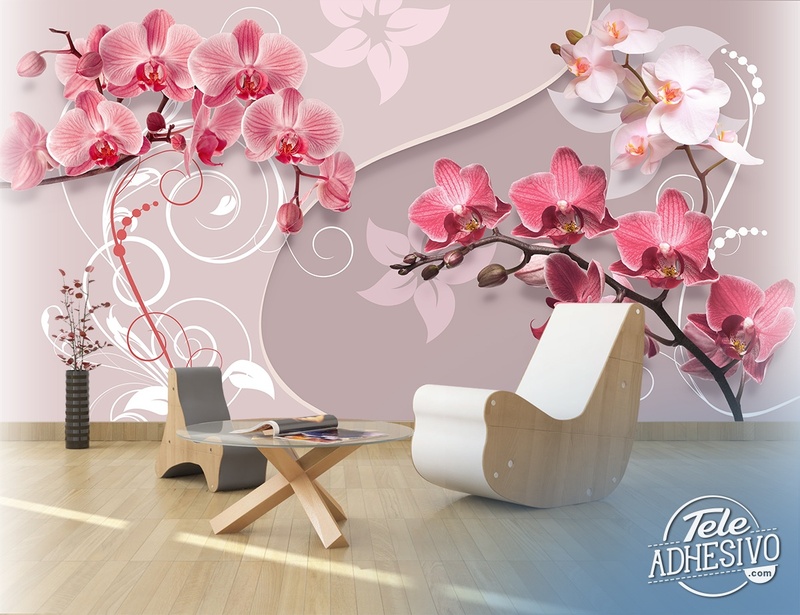 The orchid not only displays its exotic beauty, but also a great rejuvenating power. Ideal for decorating the bedroom of the house.